Rhode Island DUI laws are deliberately designed to be strict to discourage driving under the influence of alcohol or drugs. There are varying penalties based on the number of previous offenses, as well as mitigating circumstances, such as an injury or death due to a DUI. It is a serious crime with serious consequences. Read on to learn more about the state laws to avoid fines and convictions. The Blood Alcohol Concentration Limit (BAC) in Rhode Island is 0.08% for drivers over the age of 21. If you are under the age of 21, the laws are much more strict; you can be charged with a DUI if your BAC is between 0.02% and 0.08%. If a police officer pulls you over because they suspect that you are driving under the influence of alcohol or other intoxicants, they will check your license and registration, as well as ask you to take a BAC test to measure the level of alcohol or drugs in your system. They may also test your coordination and ask you questions to assess whether or not you are above the legal limit to drive. According to Rhode Island DUI laws, you can refuse to take the BAC test. However, there can be legal consequences for doing so. In addition, if you are suspected of driving under the influence and have been involved in an accident that caused death or injury, the police officer on the scene can deny you your right to refuse the test. If you refuse the BAC test, you will face penalties. If this is your first offense, you could have your licensed suspended for at least six months, with a maximum of up to a year. You will also be required to enroll in a drug and alcohol rehabilitation program, and could face fines of up to $500, as well as time spent doing community service. If you refuse a chemical test on your second offense, you could face time in jail, increased fines, and be forced to place an interlock ignition device in your vehicle if you are allowed to keep your license while awaiting your trial and sentencing. Yes, it is possible to plea “wet reckless” in Rhode Island. However, whether or not the plea bargain is accepted will depend on the circumstances of your case. If, for example, you were involved in an accident in which someone died or was seriously injured, it is unlikely that your plea bargain will be accepted by the court. A “wet reckless” plea carries fewer penalties and could allow you to keep your license and avoid going to jail. Nonetheless, you may still be required to pay fines and carry out community service, as well as enroll in rehab. Rhode Island DUI laws carry different penalties for first, second, third, and fourth DUI offenses. However, whether it is a first offense or a fourth, all of them have serious implications. You may lose the ability to drive, as well as spend time in jail. You will also be required to pay fines and court costs, even if a plea bargain is accepted. A first offense DUI is a criminal misdemeanour. If your BAC is between 0.08% and 0.10%, you could face up to one year in jail, the loss of your license for up to 180 days, fines of up to $800. You could also be given up to 60 hours of community service. One may also face enrollment in a drug and alcohol rehabilitation program. If your BAC is between 0.10% and 0.15%, you could lose your license for up to a year. According to Rhode Island DUI laws, if you are charged with a second offense DUI, you could face mandatory jail time (between ten days and up to one year) if both offenses have occurred within the space of five years. 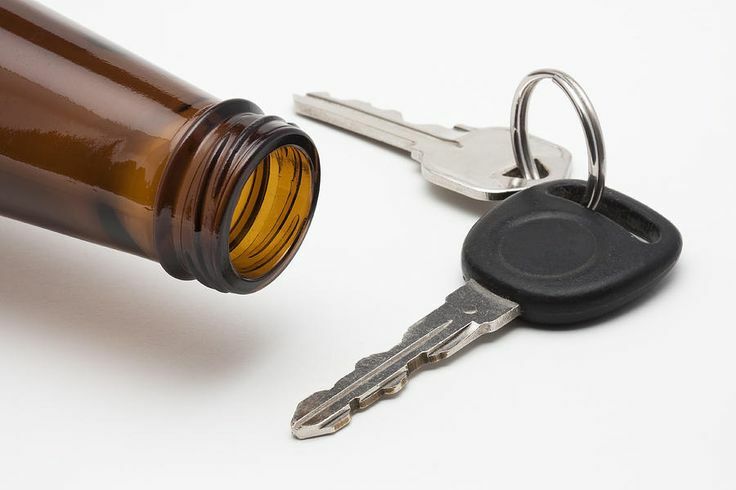 If your BAC at the time was between 0.08% and 0.10%, you could face fines of over $1,200, have your licensed suspended for a minimum of one year and a maximum of two years, and be required to undergo drug and alcohol treatment. If your BAC was 0.10% or greater, you could be sentenced to a mandatory six months in jail in addition to the penalties listed above. Rhode Island DUI laws state that a third offense DUI within the space of five years is a felony. If convicted, you could be sentenced to between one and three years in jail. You could also face costs of up to $5,000 and have your license suspended for up to three years. If you are allowed to continue driving due to hardship, your vehicle will be fitted with an interlock ignition device. You’ll need to breathe into it in order to start your car. A fourth offense DUI is a serious crime in Rhode Island. It carries the same penalties as a third offense. However, you may face the maximum amount of jail time, fines, and license suspension based on the circumstances of your case. You will be required to pay court costs and enter a drug and alcohol treatment program. If you wish to reinstate your license after your sentence has expired, you will need to prove to the Rhode Island Department of Motor Vehicles (DMV) that you are financially responsible, and you will be required to pay a fee to reinstate your license. Rhode Island DUI laws are in place to ensure the safety of everyone on the state’s roads. The penalties for offending can be severe, so take the necessary measures to avoid breaking the state law. Hey Buddy!, I found this information for you: "Rhode Island DUI Laws – Know the Risks". Here is the website link: https://www.duiauthority.com/rhode-island-dui-laws/. Thank you.